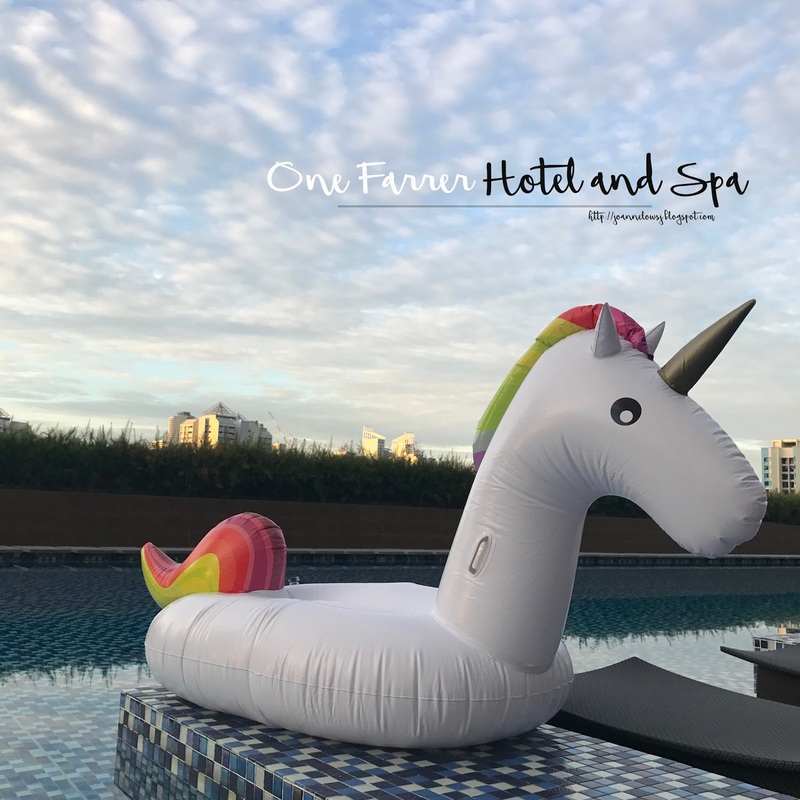 After the failed attempt to bring le unicorn to Maldives, H decides to book a one night staycation at One Farrer Hotel & Spa for a simple celebration. I love the sleek design of the hotel room. Nothing fancy and everything feels so cozy. Located in Farrer Park and right next to MRT station, this hotel has the perfect location for tourist visiting Singapore. Plus staying at this hotel will not break the bank. Besides, it is located near to City Square Mall and 24 hour Mustafa shopping center. There are many great places nearby for a late night supper or local breakfast that you could visit. We book the urban room through Expedia for about 200 SGD/night and got a free upgrade to Studio loft. Which was a steal! The room was amazing and comes with a basic kitchen, work space and free mini-bar! Also, there is a coffee machine for coffee lovers and TWG teabags as well! The only downside for the loft is that they do not have a bath-tub! Probably have to upgrade my room for a bathtub. H & I Woke up early for a morning dip. The best part was having the whole pool to ourselves and the unicorn float. The hotel has an rooftop pool but not much view. Other than the roof top pool, the hotel had a spa pool which hotel guest could use. Unfortunately, due to time constraint, I did not visit. Although nothing fantastic but I thought the breakfast spread was pretty decent. They had a wide variety of cuisine for everyone to choose from. From Indian Cuisine to American Breakfast, the hotel has it all. There was no dish that stands out but we both feel that the service staffs were very attentive. Situated next to Farrer Park MRT Station ( North East Line – Purple), you can visit Singapore’s attraction easily. With direct train line to Vivocity, you can visit Sentosa easily. Unless you are there for business trip and you can’t take time off for meals, I do not think it is advisable to book the Skyline room with privilege. The Skyline privilege which includes 5 light meal by the hotel. There are so many dining options nearby and if you are visiting Singapore for a few days, why not just try the local food there?